Welcome to South Texas College Library! Join us as we highlight some of the services that we offer students, faculty, and the community in this short video. 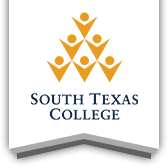 Whether you need a quiet place to study, print out a research paper, or even find an ebook, the South Texas College Library is here to help. Come visit us!